Where would we be without the historical figures we look up to? We grew up watching movies about them and learned about their accomplishments in our history books. For the most part, if we are told that someone existed, we tend to believe they did. Most of our stories, societal norms, morals, and philosophies come from the people in history. However, history can be misleading, and it’s hard to truly know if someone really lived, or if their existence is a legend. Let’s take a look at some famous historical individuals that may have never walked the earth. 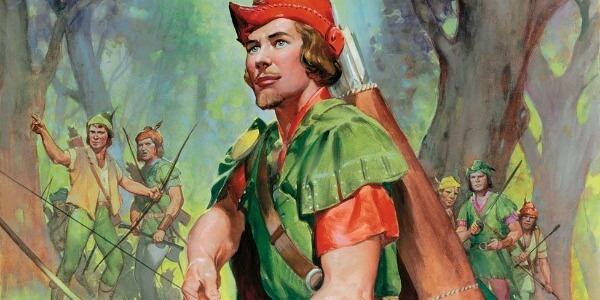 Known for stealing from the rich and giving to the poor, Robin Hood is a medieval folklore. He is regarded as Sherwood Forest’s most notorious outlaw and was featured in many songs and poems between the 14th and 15th Centuries. Known for his advanced skills both as a swordsman and an archer, he is noted to oppose the corrupt Sheriff of Nottingham with his band of “Merry Men”. His legend left an impact on history as the selfless hero who stood up for those who could not help themselves. Since medieval times, his legend has only grown into modern fantasy. But was he real? Find out next.